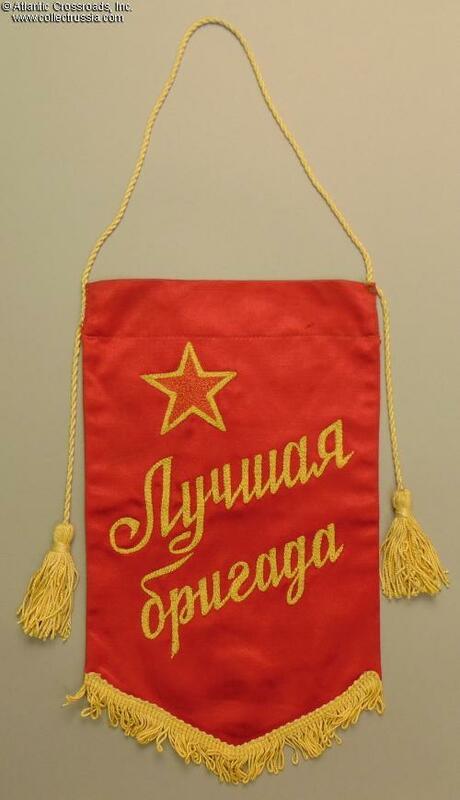 Small Pennant to a Best Labor Team, circa 1960s-70s. 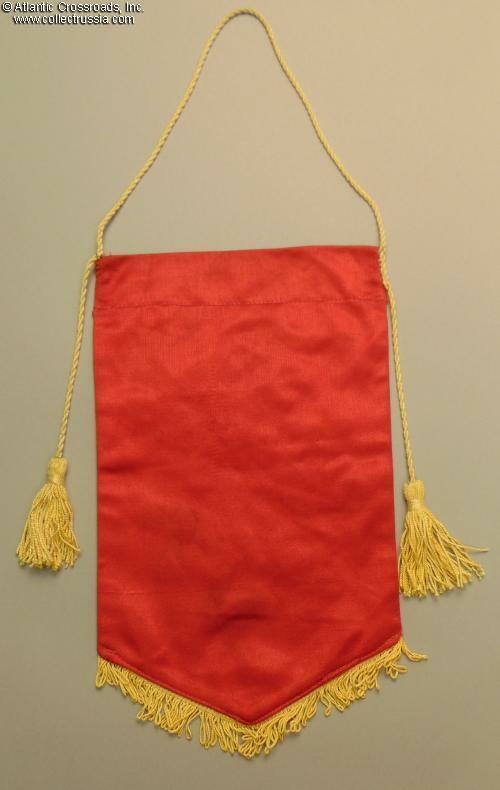 Small Pennant to a Best Labor Team, circa 1960s-70s. In red silk with gold fringe, approx. 7" by 11.5". 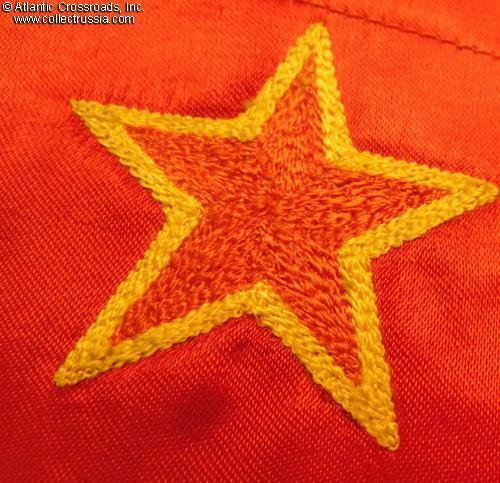 This unusual piece features two tassels and embroidered red star, a very uncommon design. 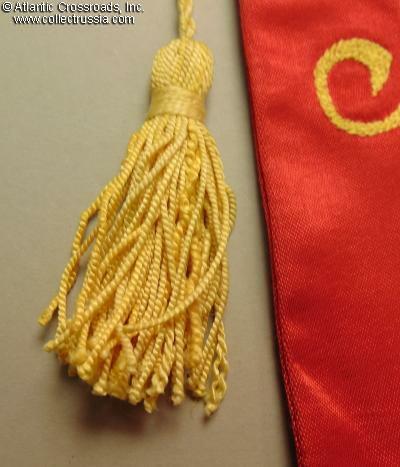 Includes gold cord to hang on the wall. Excellent condition. 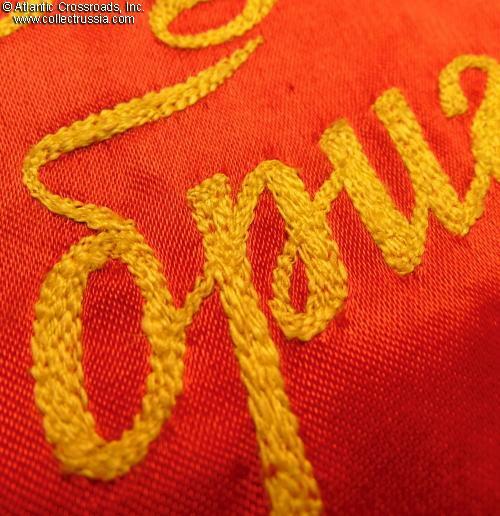 There is a tiny mark to red silk near the top and some barely noticeable soiling on the back, but the pennant is extremely well preserved overall.